If you have a Fredericksburg DUI, let’s talk. 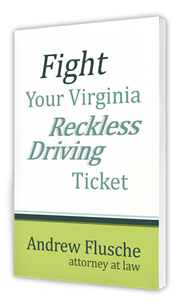 I’m Andrew Flusche, and I’d love to help you fight your DUI in Fredericksburg. This video gives a brief overview of Fredericksburg DUIs. I had this video transcribed for visitors who prefer to read the content. Hello, I’m Andrew Flusche. I’m a Fredericksburg DUI lawyer. If you have a DUI charge in Fredericksburg, you need to call an attorney, and I would love to talk with you about that. Fredericksburg handles DUI’s very seriously, as most of Virginia does. I’ve had many out of state clients comment on how seriously and harshly Virginia handles DUI’s compared to their home state, and unfortunately it’s very true. Time is of the essence when you have a DUI. I never like to be a hard sales person, but when you’re looking at Fredericksburg and all the courts around this area, they like to handle DUI’s and have your actual trial within 90 days of the offense date. Sometimes it’s a little later than that and sometimes it’s even earlier than that. So you have about 3 months on average from the date you’re accused of doing this. You can see why it’s important to call an attorney soon. Looking at things on the internet, watching videos and reading blogs, is all great, but you need to talk with an attorney so we can go over the facts of your case and tell you what you may be facing. In my case, I would certainly give you a free consultation and tell you exactly what the fee would be and we can work out a fee agreement so we can make sure we can get everything ready for trial and put on the absolute best defense we can. For a Fredericksburg DUI you’re looking at a few things as far as punishment might go. We certainly have many defenses we would have to explore in your case and that differs greatly based on the case and the facts of your case. If it’s a standard first DUI in Fredericksburg, you’re looking at possible punishments of up to 12 months in jail. Normally you would not get active jail time on a first DUI with a blood alcohol content of less than 0.15. Normally you would get some suspended jail time. You also lose your license for a period of 12 months on a standard first offense. On a standard first offense you would be eligible for a restricted license usually. You also have mandatory ASAP that you would have to do. Then in Fredericksburg you would have a fine, of course, on any DUI conviction. The fine would be up to $2500 with a minimum of $250 on a first offense. In Fredericksburg, the fine on a first offense is normally around $350. They also have this funny little rule, or an ordinance they have, where you actually have to pay restitution due to having the DUI. So you have a fine of about $350 but then they normally make you pay what they call “emergency response restitution” and that is, I believe, $250 to the city, basically to pay for the police having to stop you and arrest you. So as you can see in Fredericksburg, your fees are a little more. You do have court costs on top of all that. That’s why it’s super important to talk with an attorney. We need to see what defenses we can mount. We’ll see if we can challenge the stop against you, see if they had a legal reason to stop you, because if they didn’t then the whole case is out the window. We’ll have to see if they had valid probable cause to make an arrest for DUI because they have to prove that in order to use the breath alcohol certificate. The of course we’ll look at the breathalyzer or the intoxilizer and see if that was all working properly and if it produced the accurate blood-alcohol content for you. Or, if it was a blood draw, we’d have to look at all those records and those exams and see if that was done properly. There are so many elements we have to look at, we really need to talk soon so we can mount the best defense possible. Again, I would love to give you a free consultation so please call me or email me and we’ll get started on your case and we’ll work together to get the absolute best result we can.